If you are looking for more space and light in your home, the perfect solution is out there, just waiting for you to discover it. What is it, you ask? It’s extending your home with a sunroom. The word ‘sunroom’ is an american term for what we on this side of the atlantic would refer to as a conservatory or glazed extension. A sunroom extension is a cost effective way of adding more room to your home and it is also a very attractive addition, as it looks open and can fit in well with both the existing home and the garden. Sunrooms are generally built onto the side of the house (planning required) or the back of the house (no planning required), for the dual purpose of letting in more light and opening up your home to the surrounding garden landscape, helping to bring the outside in and giving you a front row seat to watch the changing seasons. Our sunroom extensions are built within a six week period on strip concrete foundations. 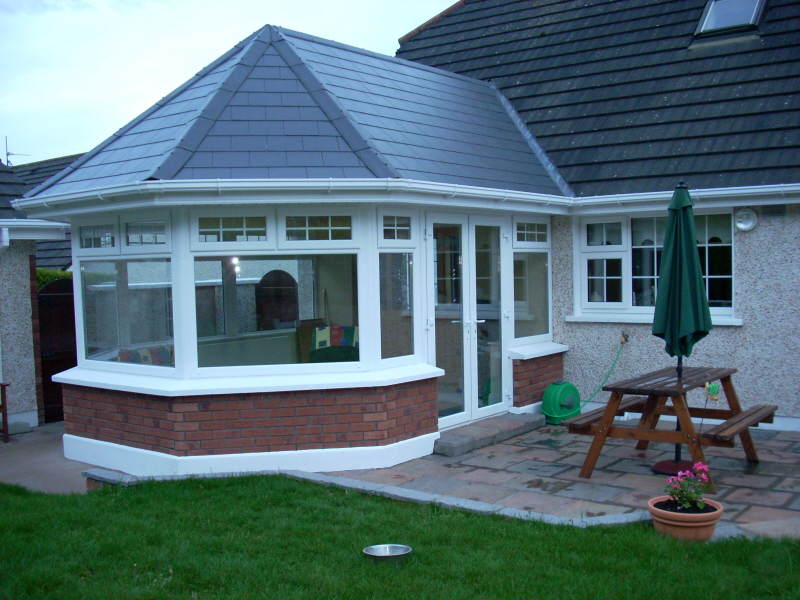 All of our sunroom designs incorporate a concrete tile or slate roof finish. This loading necessitates the use of a steel superstructure fixed to the foundations and existing dwelling. External walls include a brick finish or a block with dashed or smooth render finish applied, to blend seamlessly with the existing dwelling. All of our sunrooms are energy efficient according to building regulations and we ensure high spec insulation is applied to sub-floors, wall cavities and the roof structure. The type of glazing used in the construction of a sunroom extension is critical. Why? Because an un-insulated, single glazed sunroom can easily heat up to uncomfortable temperatures in the summer and become unbearably cold in the winter. Our glazing company has the latest and most revolutionary development in low emissivity glass with a U-valve of 1.1m/m2k. Heat generated within the sunroom is reflected internally back into the room while cold from the outside is reflected back out while retaining 100% of the light transmission. So how much should I consider for my budget? 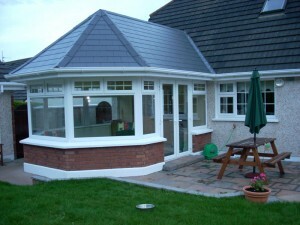 We suggest you budget as a minimum € 17,950.00 for a high spec quality finished sunroom extension. If you require some optional extras such as wooden or tiled floor or an additional sky light roof window or maybe a beautifully laid patio to compliment the sunroom and entertain some guests for a barbeque we suggest an optional budget of €3 – €5,000.00.